Description: Is your nonprofit trying to raise BIG bucks without a written roadmap to guide the effort? Or has your plan gotten a little stale and needs a refresh? If so, don’t miss this fun, fast-paced session on what to include (and what to avoid! ), creative ways to use the plan to raise more and suffer less, and engage Board members in the effort. You’ll walk away with new ideas to maximize year-end fundraising in 2018 and jumpstart your 2019 plan. Learn ways to use the plan to achieve and sustain fundraising results. Alyce Lee Stansbury, CFRE, Founder & President of Stansbury Consulting, is a 25-year fundraising veteran and seasoned advisor in nonprofit management and board development. She has raised millions of dollars and helped her clients grow fundraising results by over 200% and exceed campaign goals by 45%. Alyce Lee is a nationally certified Master Trainer in Fundraising and co-writes a weekly newspaper column called “Notes on Nonprofits”. 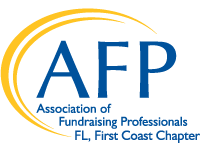 She is past President of the Big Bend chapter of the Association of Fundraising Professionals and the chapter’s first recipient of the Outstanding Fund Raising Professional Award. She has served on numerous boards and is a founding board member of the Institute for Nonprofit Innovation and Excellence in Tallahassee.